There are few things more relaxing than soaking in a natural hot Spring. The waters are perfect for easing sore muscles, relaxing the mind and soothing the soul. With stunning views of the Sierra range, this clothing-optional hot spring is one of the most popular in California. 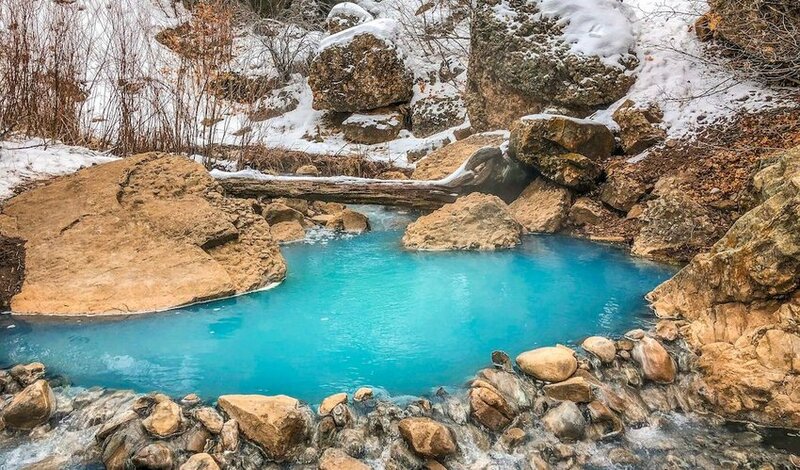 Located off a dirt road not far from US Route 395 in Bridgeport, Travertine Hot Springs feature several small pools, each surrounded by lovely rock formations. Because these springs are so well known, they can get busy on the weekends. So, visit during the week in the Fall, Winter or Spring. 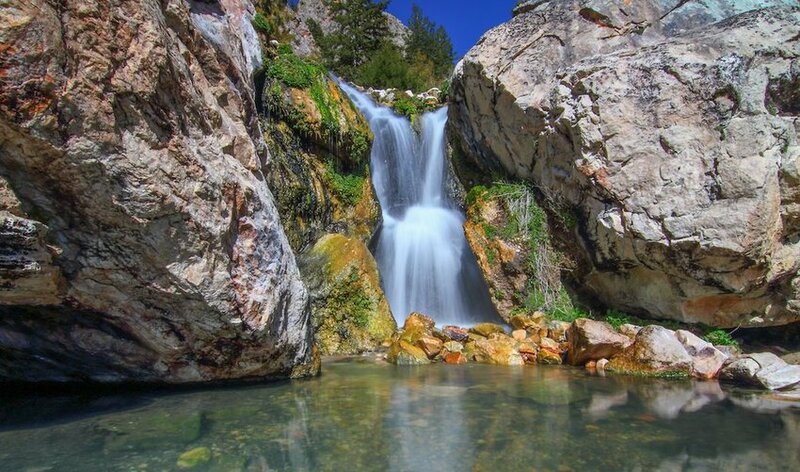 A well-traveled, two-mile trail will bring you to Goldbug Hot Springs, a series of pools interspersed among gorgeous waterfalls. The hike is considered strenuous, but it is well-marked and offers beautiful views heading up the mountain. The Springs are located in the Salmon-Challis National Forest, just south of Salmon, Idaho, and primitive camping is permitted nearby. Visit Goldbug Hot Springs in the Fall when foliage is changing and the temperatures are cool. 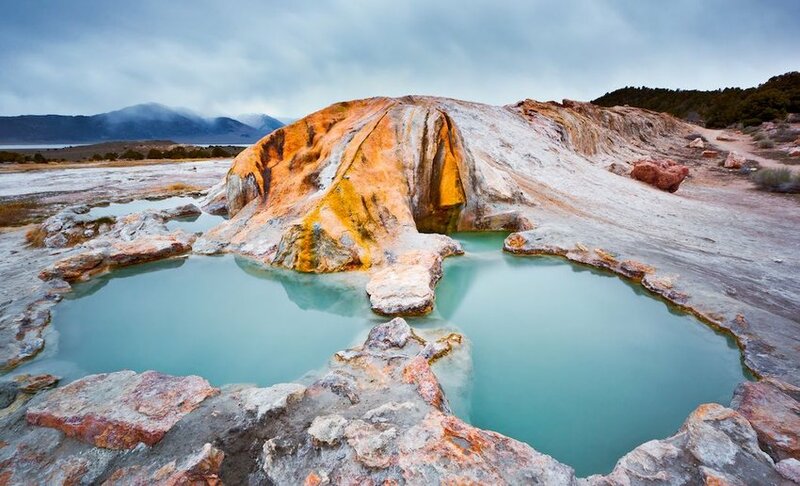 The remote location of Spencer Hot Springs in Austin, Nevada, is the Key to its appeal. Located in the North Central Valley, on public land, the hot Springs consist of several pools, many of which have been improved by local volunteers. Cattle troughs and tubs of various shapes and sizes make for an interesting soaking experience, and there is also talk of a herd of wild burros that occasionally come to visit. The water at Spencer Hot Springs can reach temperatures of 140F or more, so be sure to test it before immersing. The geothermal activity in Yellowstone National Park is legendary, drawing thousands of visitors every year. While much of Yellowstone’s hot Springs are boiling hot and off-limits for public soaking, there is 1 place where you can enjoy a good swim in the warm thermal waters. The Boiling River is a fun Yellowstone destination, where cold water from the Gardner River mixes with the Boiling River Hot Spring, creating the perfect outdoor spa. Swimming is only permitted during certain hours and bathing suits are required. Soaking in Fifth Water Hot Springs requires a 2.5-mile hike into Diamond Fork Canyon. If you are willing to put in the work, you will be rewarded with some of the most picturesque hot Springs you have ever seen. 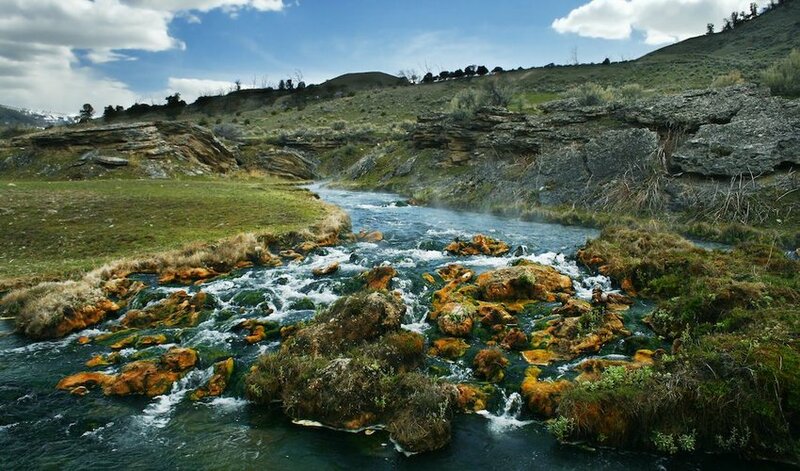 The Springs at Fifth Wheel consist of several rock-lined pools that flow gently into a small stream. The best time to visit is in the spring and fall when the crowds are minimal. The access road is gated in the Winter, and while you can still hike to the Springs, it doubles the distance you will have to walk.